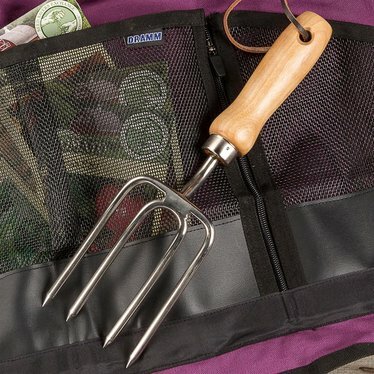 Super strong and made here in the USA, this traditional hand fork is great for weeding and cultivating soil. Quality stainless steel with ergonomic wooden handles for a comfortable, classic look. Sturdy with unwavering stainless steel construction. Part of the heirloom tool collection.